Most distilleries are in large white buildings, a colour which changes relatively quickly in the often harsh weather on Islay. Meaning they need quite regular painting. 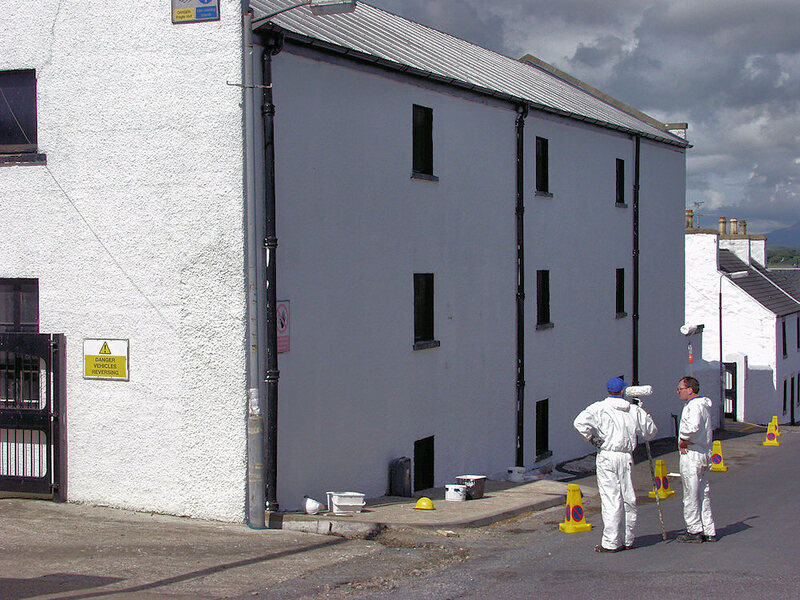 This is a building of Bowmore distillery receiving a fresh coat of paint several years back. It might well have been painted again since then. This entry was posted in Cloudy Weather, Distilleries, Repost, Sunny Weather, Village and tagged Bowmore, Islay by Armin Grewe. Bookmark the permalink.